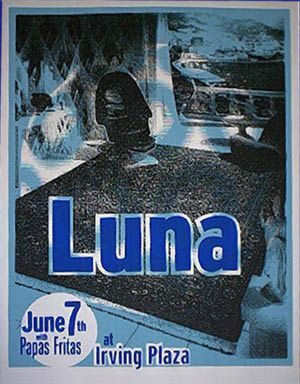 The Luna show was PACKED, big room - they had nothing but greatest hits to play. Penthouse had had time to sink in, what an album. Stanley's snare is prominent in the mix, and you will need to crank this a bit, but it is a good sounding show and excellent performance and setlist. Fabulous show at a WAY smaller venue that the previous month's Irving Plaza show. Guessing Irving is about 8 to 10 times the size of the Merc. Interesting setlist - I remember being totally knocked out by Hedgehog and Freakin' and Peakin' in particular. Also 3 out of the first 4 songs from the first album, a bit odd.